What is the TiVo® HD DVR? The TiVo® HD DVR is the ultimate HDTV companion, maximizing your cable experience by combining the clarity of High Definition with the Emmy Award-winning TiVo service. Designed as a universal cable box replacement that works seamlessly with any cable provider, the TiVo HD DVR also includes exclusive TiVo service features such as Movie & TV Downloads through Amazon Unbox, Home Movie Sharing and universal Swivel Search®, delivering the best of broadband video directly to the television set right alongside your favorite broadcast programs. What can you do with the Tivo® HD DVR? **Cable service required to receive cable channels. TiVo does not provide cable service. How many hours of programs can I record on TiVo HD? TiVo HD can record up to 20 hours in HD or up to 180 hours in SD, depending on your cable source. What HD resolution modes does the box support? TiVo HD supports 480i, 480p, 720p and 1080i. What is the hard-drive size? What is the retail price for the TiVo HD DVR? Where can I find a TiVo HD DVR? Customers can choose from a 1, 2 or 3yr TiVo monthly or prepaid service plan. A one year minimum service plan is required. Click here for our current TiVo Service Plan prices. Do you still offer the Multi-Service Discount (MSD)? Yes, if you have multiple TiVo boxes, you may be eligible for the Multi-Service Discount. To learn more about the Multi-Service Discount click here. What signal sources does the TiVo HD DVR support? The TiVo HD DVR supports digital cable, over-the-air digital antenna (ATSC), analog cable and analog antenna. You will need one (1) Multi-stream CableCARD or two (2) Single-stream CableCARDs to receive HD Digital channels. Without CableCARDs, you will still be able to receive standard definition analog channels, as well as analog and digital antenna channels. What outputs are supported on the TiVo HD box? HDMI, Component video, S-video, Composite video, Optical audio, Analog audio. Does the TiVo HD work with satellite programming? The TiVo HD DVR is designed for cable and CANNOT support satellite programming. For customers with satellite service, TiVo offers the TiVo Series2 DT in Standard Definition. What is a CableCARD™ decoder? A CableCARD decoder is small card that allows a digital TV or set top box to receive Digital Cable programming from your cable provider. It’s about the size of a thick credit card, and fits into a special slot built into the TiVo HD box. To receive two digital cable channels at the same time, the TiVo HD DVR will require either one (1) Multi-stream CableCARD or two (2) Single-stream CableCARDs. You will need to contact your cable provider to request CableCARD decoders. All major cable companies are FCC mandated to provide CableCARDs to their digital cable subscribers. Some cable companies offer CableCARDs for free and others charge a small monthly fee. The USB ports are for connecting to your home network with the TiVo Wireless G Network Adapter. Can I use any wireless network adapter on my TiVo HD box? No, only the TiVo Wireless G Network Adapter allows a wireless connection to your home network. The TiVo Wireless G Network Adapter can be purchased separately at TiVo.com and most retailers. 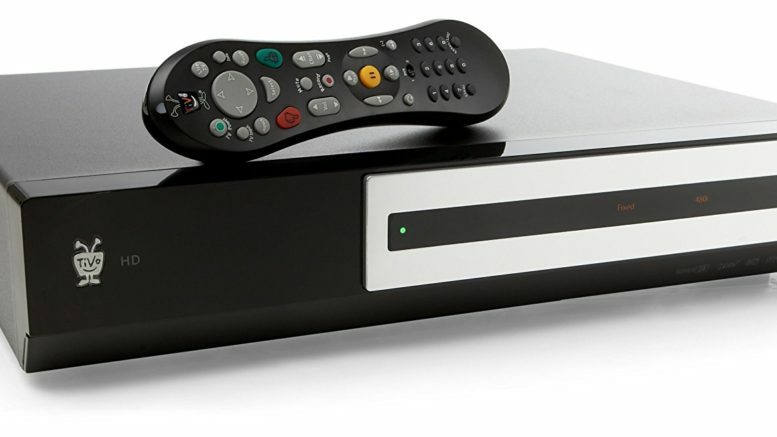 How is TiVo HD different from the TiVo Series3 HD Digital Media Recorder? Both products are designed on the Series3 architecture so the core TiVo functionality is the same. However, the TiVo Series3 HD Digital Media Recorder will remain as our premium HD DVR product with features such as a bigger hard drive (250gb), THX Certification, front panel display and a programmable, back-lit remote control. How is a TiVo HD DVR different from Series2? The TiVo HD DVR is the ideal HDTV companion, maximizing the cable experience by combining the clarity of HD with the Emmy Award-winning TiVo service. The TiVo Series2 products are designed for analog television or to be used with an external satellite receiver. What is the purpose of the front panel display lights? The front panel lights display your current video resolution mode (i.e. 720p or 1080i). They also communicate basic TiVo functions such as power, recording or download in progress. Are TiVoToGo and Multi-Room Viewing available on TiVo HD? TiVoToGo and Multi-Room Viewing are not currently available on the TiVo HD DVR. We expect that a version of TiVoToGo and Multi-Room Viewing features will be made available for the TiVo HD DVR in the future. What features work with the TiVo HD box? Amazon Unbox on TiVo, universal Swivel search, Online Scheduling, KidZone, Home Movie Sharing, Music and Photos, Fandango Movie Tickets, Yahoo! Weather and Traffic and more. Does TiVo HD include an HDMI cable? No, TiVo HD does not include an HDMI cable. HDMI cables are sold separately and available at TiVo | The TiVo Homepage or in retail stores. Does the TiVo HD have a Firewire output? No, the TiVo HD does not support 1394 (Firewire) outputs. Does the TiVo HD box work with my cable company’s video on demand and pay-per-view services? Currently, certain advanced and interactive digital cable services such as video-on-demand, enhanced program guide, and pay-per-view services may require the use of a separate cable company-provided set-top box. For more information about interactive digital cable services, please call your local cable operator.